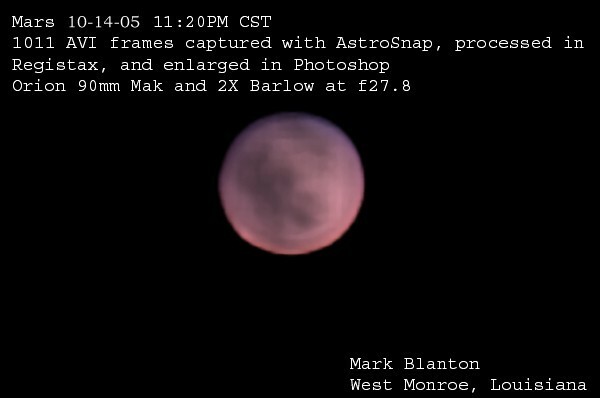 This is Mark's first astrophotograph of anything. He chose the majestic planet Saturn. 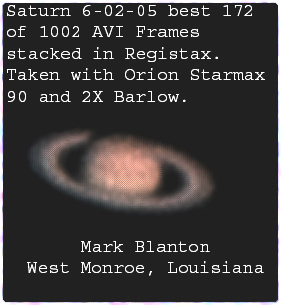 The photo was taken on 5/26/05 with his Orion Starmax 90 scope on an EQ mount. 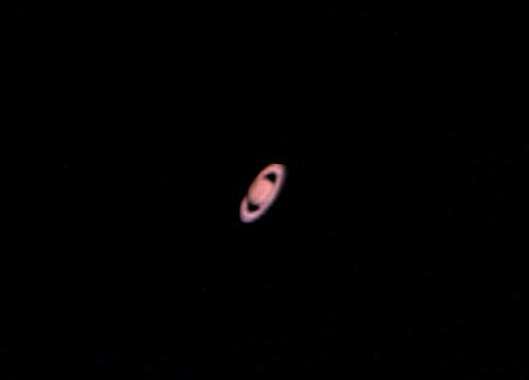 The camera was the Meade LPI with a 2X Barlow. 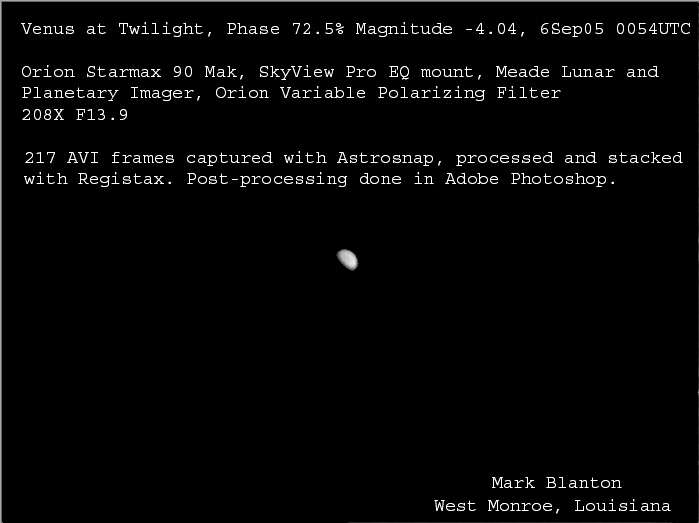 The photograph was processed in Registax and cleaned up in Microsoft Paint.